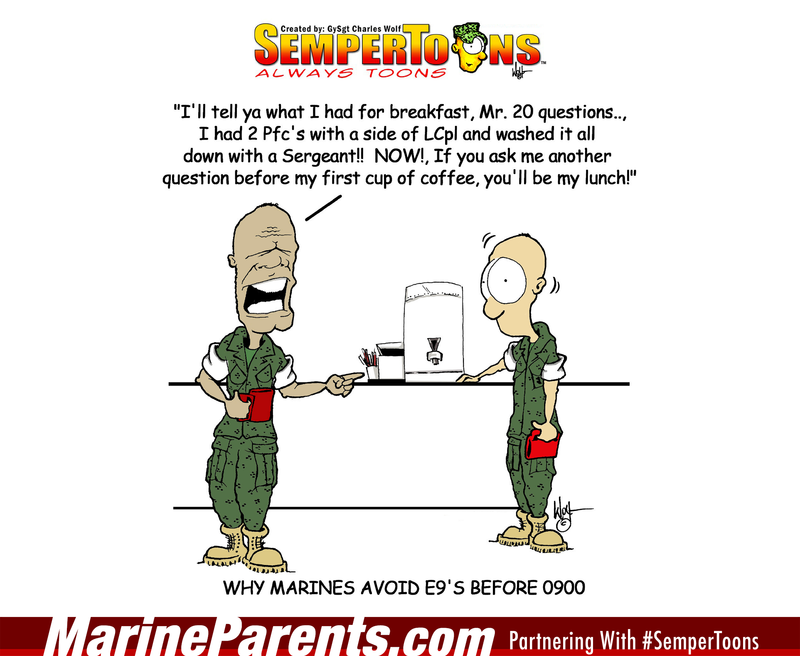 Gunny Wolf from SemperToons has created this cartoon that features a comical scene between a Marine recruit and an E900 in the morning. Marine recruit asks E900 how his breakfast was, and E900 responds with, "I'll tell ya what I had for breakfast, Mr. 20 Questions...". Shop 20 Questions SemperToons at the EGA Shop.